Texas road house 5250 Endicott, ft worth just s of 820 off beach st 4-10pm. 10% of food sales go to the Cara Young Fish for Life! Today, September 18, 2014, donations can be made 6 a.m. to midnight to more than 1,600 certified nonprofits listed on the new website http://www.NorthTexasGivingDay.org. Donations $25 and above will be amplified by $2 million in bonus funds and prizes. In just five years, North Texas Giving Day has pumped more than $60 million into the North Texas community. In 2013, more than 75,000 gifts totaling $25.2 million, benefiting more than 1,350 nonprofits. 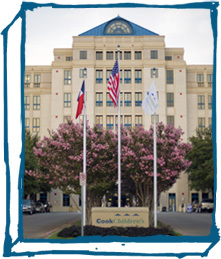 Several of the organizations I actively support are Cook Children’s Hospital, Cystic Fibrosis Foundation-Northeast Chapter Fort Worth and the Longhorn Council, Boy Scouts of America. Thank you for your gifts! Please send this to friends and family so they can support our communities as well. Please don’t forget our 5th annual Cara Young Fish for Life benefit and tournament on October 12th, Lakeview Marina, Eagle Mountain Lake. ALL proceeds go to Cook Children’s Hospital! I’ve been seeing all these posts with old pics from years gone by so though I’d put one out too! I don’t usually like to be accused of conforming so this will be the one and only. 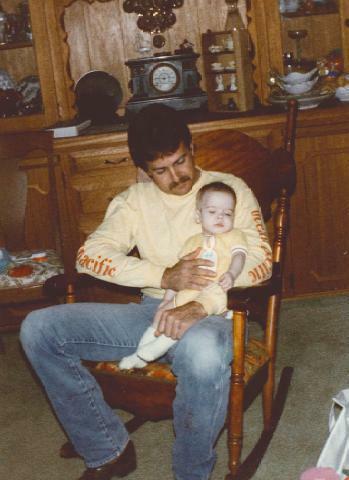 Actually came across this picture of Cara and I in one of our favorite places…any rocking chair that was even close to the proximity we were in! When she didn’t feel good in her early years, which was quite often, we would hang out in a rocking chair and if I had my harmonica I’d play and seemed to help. Rather be playing drums but I guess the harmonica was a little more soothing! One time this person said oh dear, you should not have all those pictures of Cara all around you as they only will cause you pain and grief by reminding you she is gone. What an idiot! When someone is in your heart forever all the pictures there or not there will not change that. And this should not be a surprise but that just reminded me of a Scripture…Hebrews 8:10 FOR THIS IS THE COVENANT THAT I WILL MAKE WITH THE HOUSE OF ISRAEL AFTER THOSE DAYS, SAYS THE LORD: I WILL PUT MY LAWS INTO THEIR MINDS, AND I WILL WRITE THEM ON THEIR HEARTS. AND I WILL BE THEIR GOD, AND THEY SHALL BE MY PEOPLE. Now here’s a day this retired Ironworker can like! Working on high rise buildings does give you a different perspective on the world below. Whoever it was that first considered placing dwellings on top of each other instead of side-by-side would be astounded at how modern buildings literally seem to touch the sky. What they may also find interesting is the status that is often attached to living or working at the highest level. These are just a few aspects to ponder on a day that is set aside to reflect on man’s apparent conquest of upper space. Think your in shape? Climb columns all day long with about 30 lbs. of tools and 2 bolt bags full of bolts!